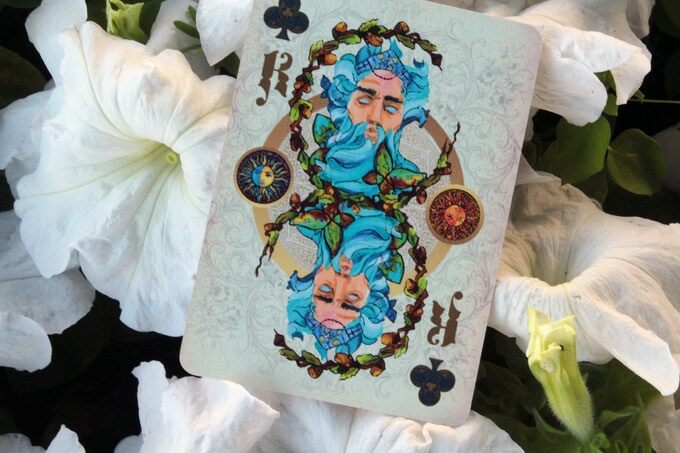 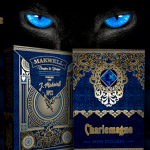 A few months ago, Edvin Krishtofor surprised us with the Charlemagne deck, an true delight. 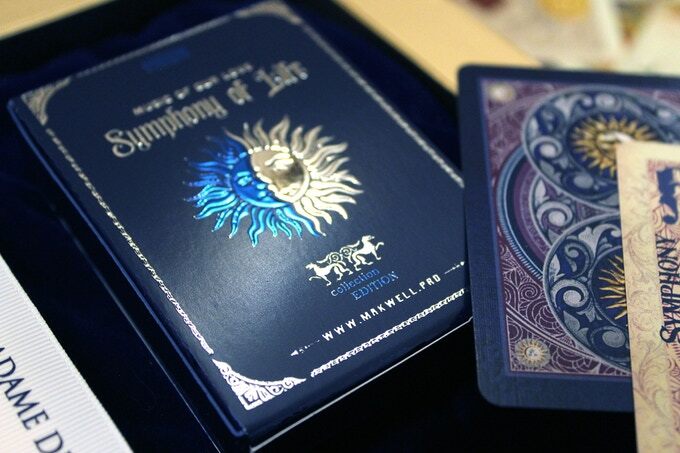 Now, he leaves us breathless again with the beautiful editions of SYMPHONY OF LIFE. 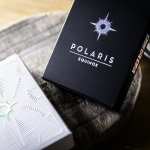 With a clear influence of the art-deco style, the designs take as the main inspiring elements the day and the night and build on them a story based on the vital balance. 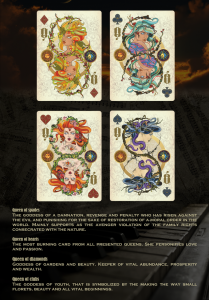 This story creates mythological characters in court cards that are associated with the human qualities. 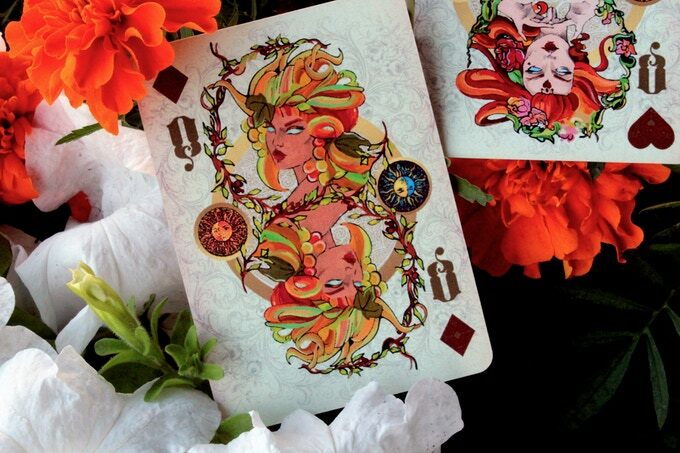 The jacks, the queens and the kings are divinities that represent our deepest feelings, sometimes beautiful, other times dark, but human in the end: intrigues, happiness, abundance, calm, love, malice, wisdom, … These court cards show symmetrical compositions with elaborate drawings of each of these gods and goddesses framed by decorative elements and a profuse symbology that reinforces each of their personalities. 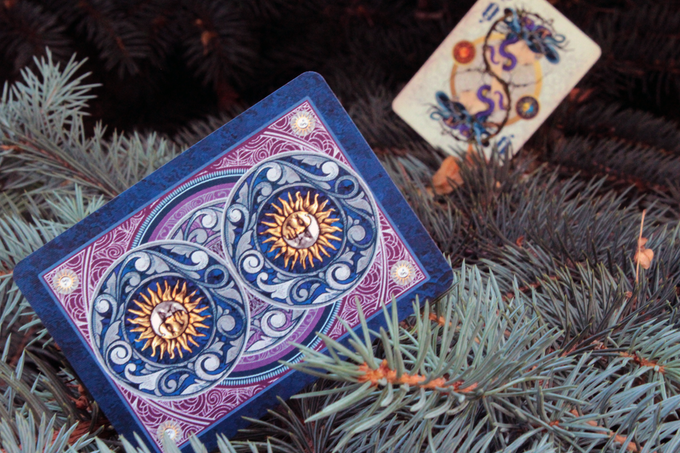 Numbered cards show a great elaboration, with intricate backgrounds and circular designs that frame the pips in a very elegant and original way. 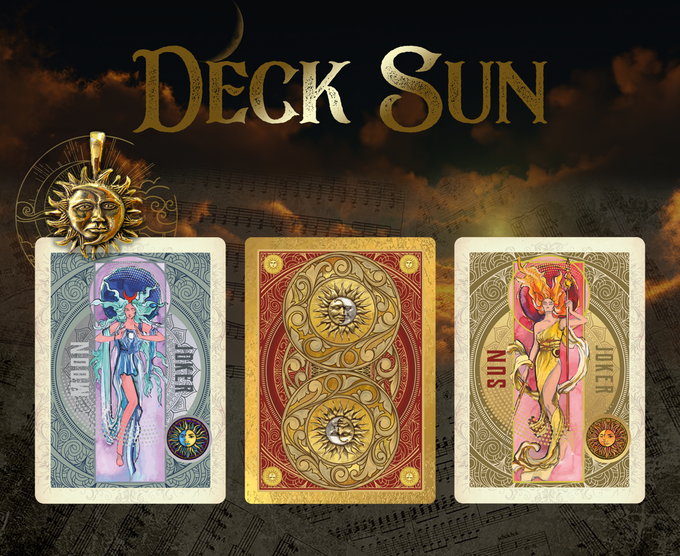 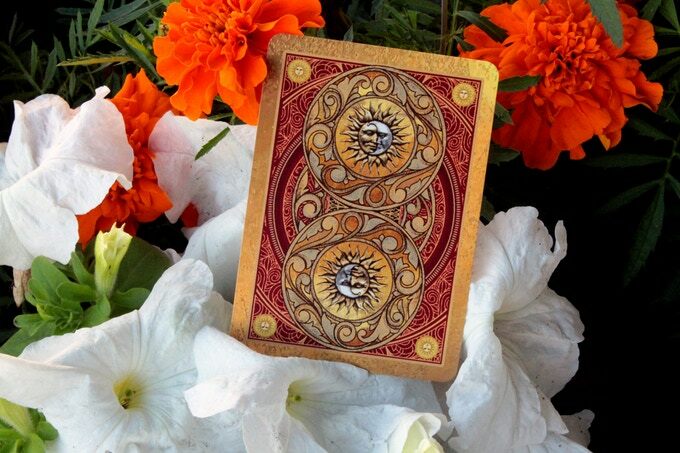 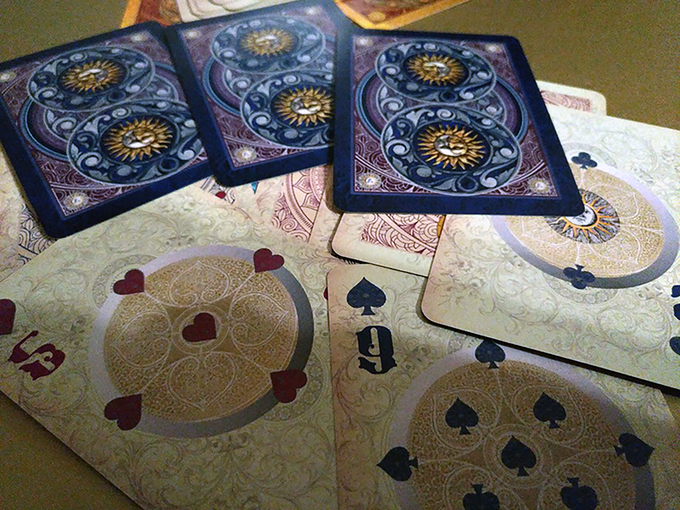 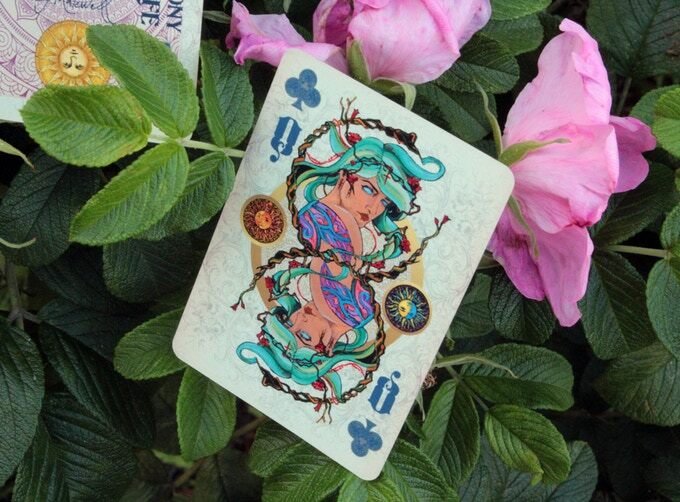 Two editions of the deck have been created: SUN and MOON, with different color schemes, back and tuck case. 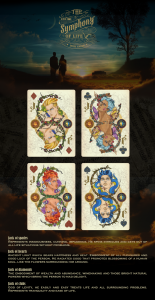 The tuck cases are, as happened in the previous campaign, real works of art. 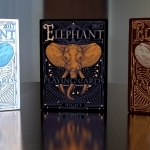 Deep embossing and intense metallic foils reinforce the beauty of the whole deck. 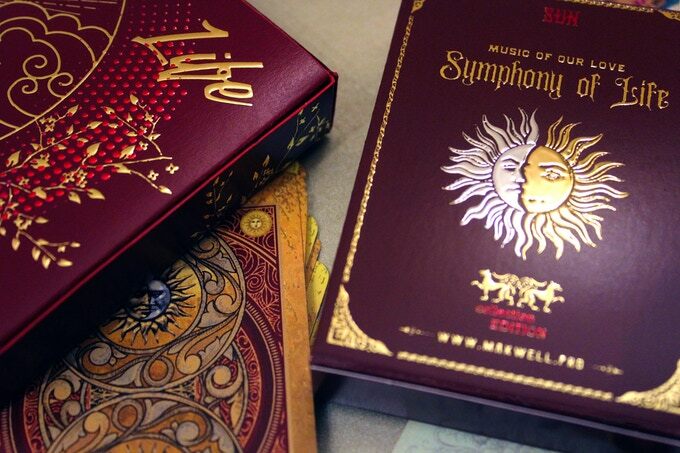 In addition, thanks to the good relatonship with Markwell, the printer in charge of the production, you have the possibility of adding original features to the tuck cases such as the customization with your own name or the addition of fragrances that will make the decks very special collectibles. 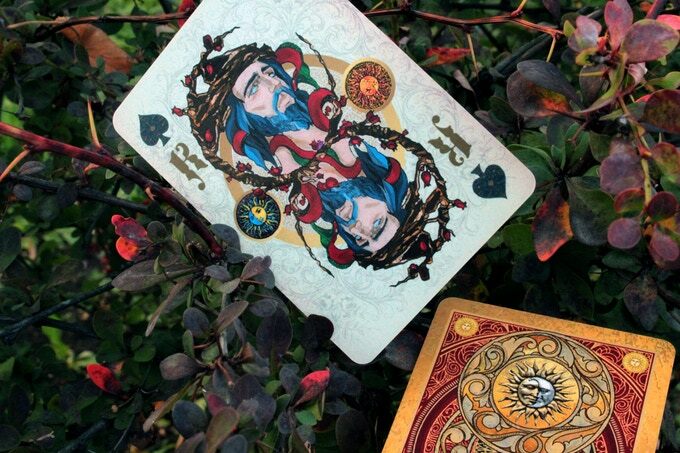 Without a doubt, a very interesting campaign that deserves your attention. 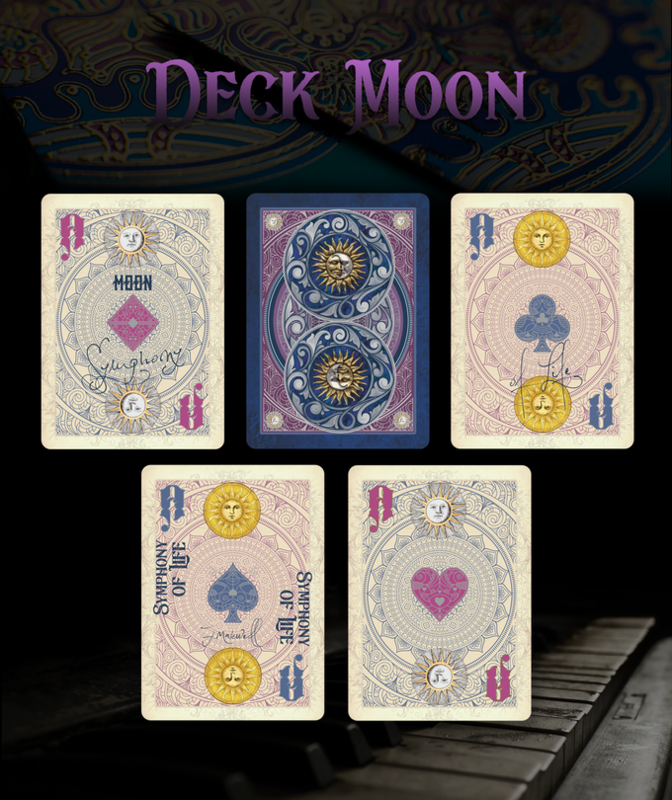 If you like it, visit the project website and raise your pledge.